Opening a new chapter in your career begins with the required real estate license education to get your Florida Real Estate License. Real Estate is an exciting and rewarding career and we have made completing the requirements very easy. Get started today and not only learn the requirements to pass the exam but learn what it will take to be successful. *All of our prelicense courses are designed to be taken independently from any specific textbook. 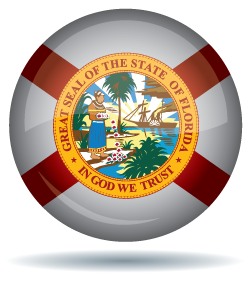 The online prelicensing course covers all the required material necessary to prepare you for the FL state licensing exam. The Irlander textbook included in this package is an excellent additional learning resource and provided as a supplemental reference only. ccording to FL law, in order to qualify for the FL Broker's license, you must take this course plus show 2 years experience or more. Florida Exam Prep - The only mastery and fluency based exam prep system in the market. MathMaster - Clear and concise review of real estate math. Social Security Number: You must have a United States Social Security number to apply for any real estate license. Contact the Social Security Administration for details on how to apply for a social security number. Must hold a high school diploma or its equivalent. Pre-license education: Must complete and pass a Florida Real Estate Commission approved 63-hour Sales Associate pre-licensing course. The Candidate Handbook is a useful source to help guide you through the examination process. The fee is $105 which can be paid either by using the FREC Online Services or by personal check. Complete the Application for Sales Associate License (DBPR RE 1) by clicking on “Apply for a License” from the department’s home page. The application can be completed using "Online Services" or using a "Printable Application". The examination is given by Pearson Vue.